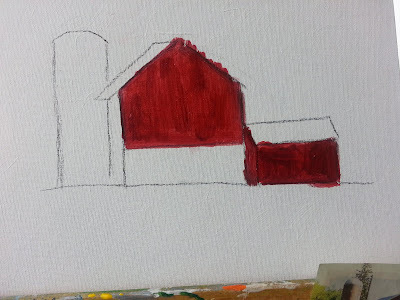 Today, I began anew on a bright white canvas. I used gesso first to prime the canvas for acrylic paints. 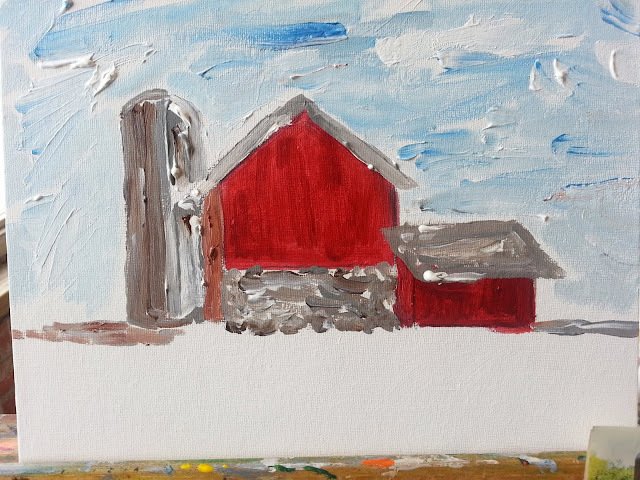 It was helpful to have a photo of a barn since I haven't gone outside yet this year to plein air paint.